The Corvette 7 Air Comfort Tent from Outwell is a spacious and sturdy tent with a Power Air Tube System for a speedy pitching time. Perfect for large familes or groups of friends it sleeps 7 people in three bedrooms while the main living room is generously sized as well as being light and airy. 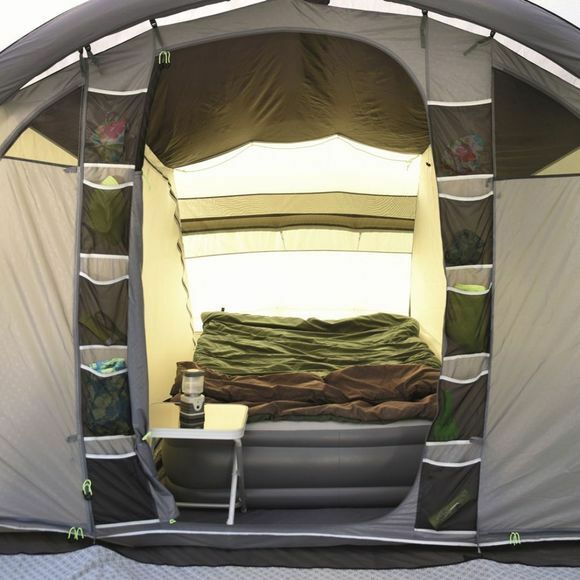 The large windows of the tent are slightly tinted to reduce glare while still allowing light to flood the tent and toggle-up curtains offer optional privacy, in contrast to this the bedrooms feature Night Sky ceilings to help block out the light to help avoid any unreasonably early mornings. The pre-shaped tubes ensure plenty of headroom in the living area and a multitude of door options allows great ventilation and access. The sealed in groundsheet is great for keeping out unwanted drafts, bugs and weather and also makes for slightly easier pitching with regards to positioning the Power Tubes in the correct place. The 2-way pump supplied with the tent also has a pressure gauge so you can achieve fast, efficient inflation every time. 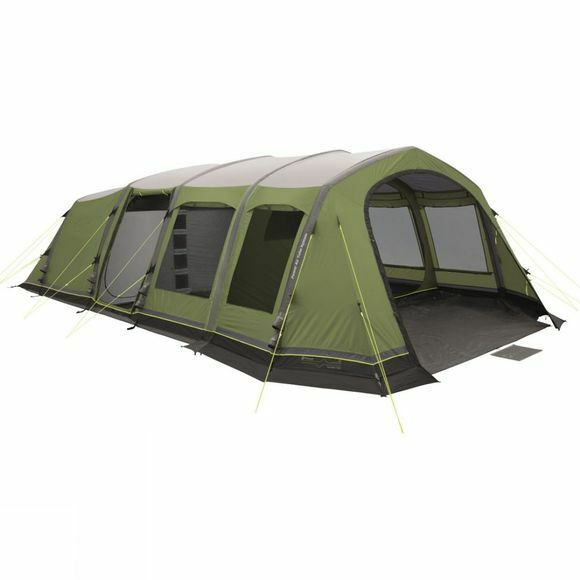 This is a great tent option for long weekends with friends as well as longer family holidays in the summer, with plenty of space for everyone to enjoy themselves and live the good life in the outdoors.